The AquaBoy® is an award winning appliance with global recognition. A winning mentality is what separates us from our competitors. Winner of the 2017 Best in Show at the NUHB IBS Awards. 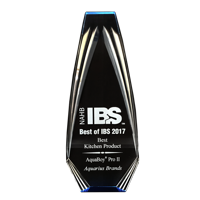 Over 400 entries in nine categories were received in the 2017 Best of IBS Awards. Products were judged by 28 industry and media judges who evaluated products based on a combination of design, functionality and innovation, as well as its usefulness to consumers and/or home builders. The 80,000 attendees included home builders, remodelers, architects, building material dealers and distributors. Finalist in 4 categories at the 2016 NUHB IBS Awards. Close to 300 entries in nine different categories competed in the Best of IBS Awards at the 2016 NAHB International Builder’s Show held in Las Vegas, Nevada. 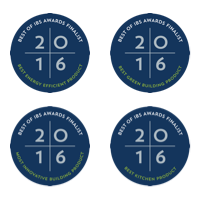 The AquaBoy® was the only product to be awarded a finalist in four different categories — Best Energy Efficient Product, Best Green Building Product, Most Innovative Product and Best Kitchen Product. Industry and media judges considered entries based on innovation, functionality, design and builder/consumer friendliness. 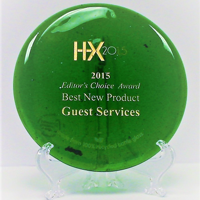 The AquaBoy® received the Editor’s Choice Award for Best New Product in the category of guest services at HX: The Hotel Experience, which hosted 460 exhibitors with products and services suitable for the hotel industry. The Editor’s Choice Awards recognize best new products within the categories of food & beverage, kitchen design, guest services, rooms division and technology. Winner of the 2017 Best Kitchen Product at the NUHB IBS Awards. 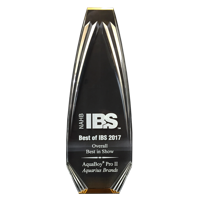 Over 400 entries in nine categories were received in the 2017 Best of IBS Awards. Products were judged by 28 industry and media judges who evaluated products based on a combination of design, functionality and innovation, as well as its usefulness to consumers and/or home builders. The 80,000 attendees included home builders, remodelers, architects, building material dealers and distributors. Winner of the 2016 Kitchen Electric Award at the IHA Innovation Awards. The IHA Innovation Awards have honored the best in product design at the International Home + Housewares Show for the past five years. All innovative products were judged by a panel of experts that include designers, retailers and news media. 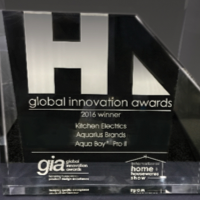 With over 2,000 exhibitors, the AquaBoy® won the Global Innovation Award (GIA) in the kitchen electrics category.